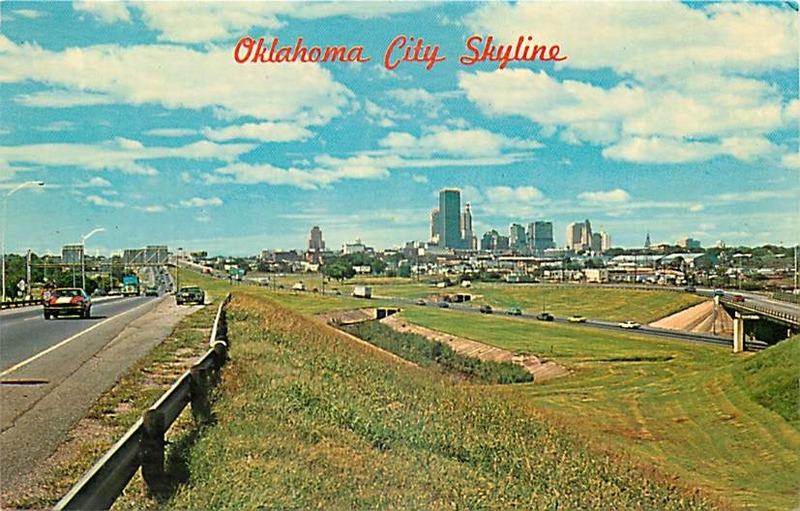 This postcard is from 1972 showing the Oklahoma City skyline from the east, looking west, on I-40. The skyline itself is not too unchanged at this point (minus the Murrah Building). Bricktown has been developed and the highways you see here have been replaced. Of course, the skyline will soon change with the completion of the Devon Tower, basically dwarfing the buildings seen here.